One of the major landmarks in the city of Cochin, the Casino Hotel is one of the most exquisite 5-star properties in the city. For getting an introduction with the first class sophistication and alluring charm of Kerala, the hotel is a perfect place to stay. 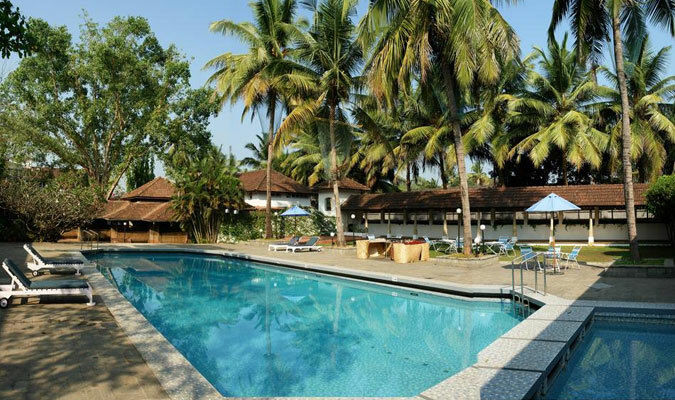 Blend in with the varied cultures, colors and lives amid Kerala, with a stay in this luxury hotel. The modern day décor in the hotel is merged beautifully of classical Kerala atmosphere. The guests enjoy the exciting Kerala cuisines in the hotel and have relaxed vacations in Kerala Backwaters. The 5-star Hotel in Kochi, Casino Hotel is known for providing exceptional accommodation facilities that are simply exquisite when it comes to offer luxurious and comfortable stay. All the 67 rooms in the hotel are elegant and sophistically designed. The guests with a stay in these rooms find out the true meaning of style and class. The rooms are divided into 66 Standard rooms 1 suite all of them installed with amazing modern facilities. Standard Rooms: These rooms are well suited to fulfill needs of all corporate travelers and leisure tourists. The Suites:The lovely, spacious suite, built with state of the art architecture and alluring décor offers all the facilities and services required by a modern day traveler. The Casino Hotel is known for its specially designed restaurants that serve some of the most exotic culinary treats to the guests. For sea food lovers, these restaurants are heaven on earth. Fort Cochin: Guests enjoy the amazing array of freshly caught seafood, cooked and prepared as per the requests and whims of the guests. Tharavad Buffet: Multi-cuisine restaurant serves amazing range of Continental, Indian and Kerala cuisines. Buffet service available on daily basis. The vegetarian people will be elated with the separate section for them. The mood is set by the amazing live bands perform in evenings. The Vasco da Gama Bar:For having a gala time with your friends and spend a relaxed evening drinking some of the most exotic liquors available, this is the place to go.